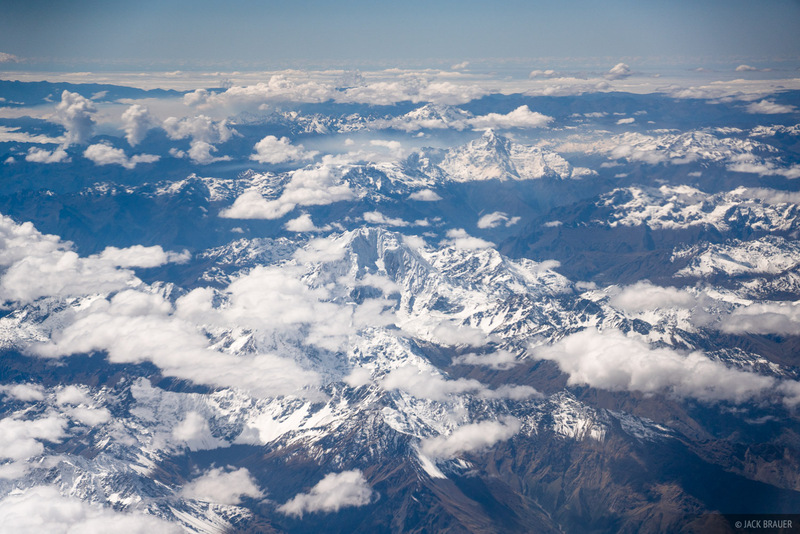 Aerial view of the south face of Nevado Salkantay (6277 m / 20595 ft). Nevado Veronica (5893 m / 18642 ft) is behind to its upper right. In the far background horizon below the clouds would be the headwaters of the Amazon. Photo © copyright by Jack Brauer.